There you go again," as Ronald Reagan said to Jimmy Carter. Once again the United Nations Human Rights Council has voted – with the United States dissenting – to conduct a so-called "investigation" of Israel's military responses to Hamas's double war crimes. Once again Israel will have to decide whether to feed the kangaroos that make up this court by cooperating with yet another phony investigation whose outcome is predetermined. Yet again Israel is presented with a Hobson's choice: If it refuses to cooperate, it will blamed for denying the investigatory commission relevant information; if it cooperates it will lend credibility to a conclusion that has already been reached. This Hamas-inspired investigation is an important part of Hamas's double war crime strategy: By firing its rockets from civilian areas and buildings – even Ban Ki-moon acknowledges that it does – Hamas seeks to have Israel kill as many Palestinian civilians as possible. This Hamas-designed body count, and the accompanying photographs, inevitably leads to the kind of one-sided investigation in which the UNHRC specializes. The resulting one-sided condemnation, which Hamas can always count on, then helps it win support in Europe, South America and other parts of the world, as well as in the media and universities. By joining in this Hamas strategy, indeed becoming a central part of it, the UNHRC encourages Hamas to repeat its rocket fire against Israeli civilians, its tunneling into Israel to kill and kidnap Israelis and its placement of rockets and tunnel entrances in civilian areas. The countries voting for this investigation are fully aware of what they are encouraging. They have the blood of future innocent Palestinians and Israelis on their hands. 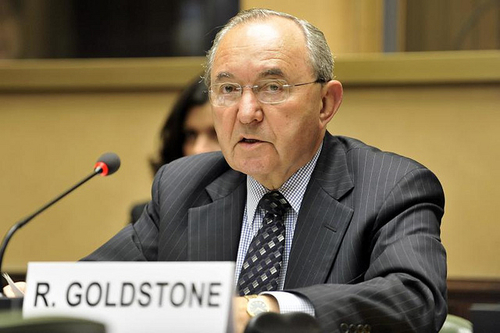 Last time around the commission found a willing dupe in Richard Goldstone, who was prepared to put his personal ambition to elevate his status within the international community above any commitment to truth. Because Goldstone is Jewish and has spent time in Israel, his name attached to the commission's report gave it an air of credibility. His dual conclusions – that Israel deliberately targeted Palestinian civilians and that Hamas did not use human shields – were so thoroughly discredited that they destroyed Goldstone's career, and even his prospects of elevation within the international community. Eventually even Goldstone had to acknowledge his mistake and indicate that there was no evidentiary support for his widely cited conclusions. This time around it will not be easy for the commission to find an ambitious dupe like Goldstone, because potential commission members now understand that their conclusions, methodologies and biases will be scrutinized with care and exposed for all to read. The council will probably have to satisfy itself with a group of overtly anti-Israel zealots who don't care about their reputations and who are willing to go through the motions of an investigation and come to the conclusion that the commission has anointed them to reach. It would be useful to have a real investigation of both sides to the conflict conducted by objective experts. I would welcome such an investigation, as I suspect Israel would. Objective investigators would seek hard evidence, such as real-time videos, communications within the military, forensic evidence and other information that would allow open-minded investigators to find the facts wherever the facts take them. The problem is Hamas would never consent to such an investigation and would refuse to allow objective investigators into Gaza. Indeed, the best proof of the pro-Hamas bias of any investigation is the fact that Hamas, which rules Gaza with an iron fist, would welcome these phony investigators with open arms, the way it welcomed Goldstone and his biased lackeys. Despite the unwillingness of Hamas to allow objective investigators into Gaza, the world should demand a full and unbiased investigation by experienced, professional investigators, unconnected to the United Nations, whose sole responsibility should be to get at the truth, no matter how complex and nuanced it may turn out to be. Such an independent, real investigation could be conducted at the same time that the phony UNHRC "investigation" is being conducted. Then the world would have a sound basis on which to compare the methodologies, factual findings and conclusions of the two investigations. It would also have a sound basis on which to compare Hamas's actions with Israel's – and Israel's to what other democratic countries have done and would do when faced with comparable situations. Any such investigation would also apply the rules of proportionality to the facts it found concerning Israel's military actions. Even Navi Pillay, who runs the UNHRC, has acknowledged that proportionality permits a nation that has been attacked to counterattack enemy military targets so long as the military value of the target is important enough to justify the anticipated civilian casualties. This rule was not designed for situations in which the enemy deliberately uses civilians to shield its military operations. In any event, the targets Israel has attacked – rockets aimed at civilians, and terrorist tunnels built to kill and kidnap Israelis – are extremely important military targets that should not be immunized against counterattacks by deliberate use of human shields. Were the UNHRC to rule that the presence of human shields precludes a democracy from counterattacking important military targets – even after warning the civilians, as Israel does – this would encourage the widespread use of human shields by all terrorist groups around the world, and put democracies at great peril. But the UNHRC is likely to ignore that point, as it did in the Goldstone Report, and simply respond as Ms. Pillay has already responded with the following cliché: "The actions of one party do not absolve the other party of the need to respect its obligations under international law." This cliché – which is wrong, as a matter of both law and common sense, when the offending party deliberately uses human shields – is an invitation to Hamas and other terrorist groups to continue its double war crimes. Israel should have nothing to fear from an objective investigation. It should also have nothing to fear from the UNHRC "investigation" – if its biases are exposed for all to see. The writer's latest book is "Taking the Stand: My Life in the Law". Seriously. Demand that Goldstone head this inquiry, as well. He knows the issues. he knows the truth. Better yet, HIRE him to REPRESENT Israel before such a committee inquiry. The United Nations has proven, over and over, that it is totally in the hands of the Muslim radicals and the world's leftists to the point that strains credulity. This is just one more in an apparently endless stream of blatant anti-Israeli actions that make the existence of the organization nothing more than a joke. Why is it that only the civilized countries are governed by the rules of war? The terrorists don't pay attention to them, yet depend upon them in order to gain an advantage over the people they are attacking. When all is said and done, the rest of the world will be quick to forget what was done and will remember only who won the conflict, unless it involves Israel or the USA. Then financial reparations will be demanded. Kudos to the Israeli Government for finally doing what shoukd have been done years ago. The only way peace will ever be achieved in the area is by total victory. Truces won't do it. They never have and never will. Especially when the professed goal of the enemy is to wipe you from the face of the earth. The U.N. is calling for a probe of Israel. The U.N. is in bed with Hamas. Like having Eric holder investigation the DOJ. A joke. I am in total agreement with this article. I am not a Jew but a Sikh living in London and I am appalled by the bias in the UK media in favour of the terrorist organisation, Hamas. It seems to me that the leadership of Hamas knows full well that it cannot win a war against a modern, well equipped, trained and motivated army such as the IDF. Consequently, given this asymmetry, it aims instead to fight the PR war. Unfortunately for its own people living in Gaza this PR war involves the deliberate sacrifice of its own people (women and children included) in order to force the world to put pressure on Israel. In sum this conflict comes down to two choices when faced with missiles from Gaza. Do the Israelis "hold fire" and await a UN or US brokered resolution and thereby sacrifice their own citizens or do they deploy the IDF. Given the weakness of the UN (I agree with John Bolton's comment re the top 10 floors) and the abdication of American leadership by Obama, Israel has no choice but to defend itself. The Israelis have every right to defend themselves regardless of what the U.N. has to say. What have the U.N. said about or done about the terrorist actions in the world? The U.N. should be disbanded and removed from the shore of the U.S. and all funding by the U.S. cut off. Israel has suffered enough through out history and I fully support their actions. The United Nations Human Rights Council has more motions passed against Israel compared to all the motions against the rest of the world. The UN repeatedly allows its facilities and equipment to be use by terrorists against Israel. The United Nations Human Rights Council must be ranked as one of the worst parasitic non performers on record. It is time to disband them for good. The United Nations Human Rights commission is under tight budget constraints since donors disgusted by its agenda have lowered their contributions. In this context, there is no need to launch a costly investigation into whether Hamas has committed war crimes. Every single rocket sent from urban area launched at urban area constitutes a double war crime. Done. The notion of an objective inquiry is beyond reproach. Conducted under rules of natural justice and employing audi alterem partem principles, it would probably be acceptable to all who really matter. The task of identifying a suitably objective panel of adjudicators might, however, prove to be insoluble and it is probably naive to believe that the objective can be achieved. However, Professor Dershowitz' view that Israel should have nothing to fear from a UNHRC "investigation" "if its biases are exposed for all to see" cannot be faulted, more especially if it avails itself of the willing and readily available abundance of legal talent that is available world-wide to represent it and secure that its interests are protected. Lets face it: the UN is waging war on Israel. The leaders of this war are Islamists. Israel is the first domino in line -- after Israel will come the western world. Any investigation will be nothing more than a sop to the Cerberus of the UNHCR whose insatiable appetite for blame-shifting will almost certainly have little basis in reality. War is a dirty, messy, unpredictable business and people die. Investigations like this, with all the hand-wringing and do-goodery are like trying to reassemble a Mercedez-Benz to showroom condition after it has been hit by a train - the pieces are too widely scattered. Hence, people reassemble them in whatever order best fits their political bias, hoping to sell the vehicle to the highest bidder. As the old song says "...they can suppose what they wants to suppose...."
Of course this is what Hamas and the UN want, to put trap-doors under the feet of Israel's govt, thinking by past reactions that the latter is sooo frightened by UN's blame! It is about time for Israel to show CONTEMPT for UN's blame. This will dissuade this kind of tricks no other nation would accept. Ask Syria, Iraq, Libya whether they care for the ...UN's blame! They would only LAUGH and that is precisely what it takes to stop these clowns. When Israelis defend their country it is a human rights violation. When Hamas is attacking Israeli civilian areas by rockets, no humans, no rights. Wonderful world and world organization!! Alan Dershowitz draws a fair conclusion. 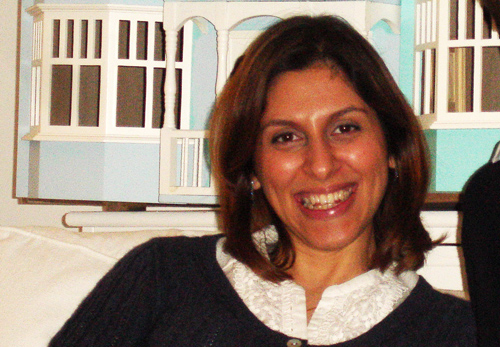 I would be the first to admit the enormous expertise that countries like Iran, Syria ,Pakistan, Saudi Arabia, Russia and China have on breaches of Human Rights.Their first hand knowledge is so enormous and common that hangings, stoning, torture and mass killing of civilians don't even warrant any time on the news in the west anymore. So from their background and perception of what is acceptable or not can you blame them for endlessly investigating the one democracy in the middle east? The thing we should be very mindful of is the "educated liberals" with their never ending capability of taking something basically great like Human Rights and mess it up. They turn it into something disgusting by always thinking it is meant to allow pondlife to carry on their criminal lifestyle at the expense of the law abiding majority of people. This is harmless enough if huge amounts of money are spent to get a prisoner compensation because his toothache was left for 2 days (torture) or he had more than one cell count, breaching article 8 right to private life. Their eagerness to destroy a good idea becomes something else if we look at the UNHCR. Giving power and status to these mass abusers of human rights like Syria, Russia, China and Pakistan is not funny anymore. It says to them carry on with impunity. And they do, safe in the knowledge that because they are now a powerful block in the United Nations Human Rights Council -- another basically great idea of having a group of countries watching over human rights has been destroyed. Not only has it been turned into an irrelevance, that would be bad enough. No thanks to the efforts of our rosy coloured liberal intellectuals the UNHCR does exactly what it said out to stop: It encourages killings and human rights abuses. One day they will hopefully pay the price for their drive to occupy the moral high ground and the destruction it caused. Till then we have Hillel Neuer and Alan Dershowitz shining a light into a very dark place. This is one of Alan Dershowitz's best articles and shows that side of him that is, thank God, an unflinching supporter of Israel and an unflinching supporter of the truth as well. How he cannot see the extraordinary, obvious and multiple fallacies of the Two State Solution I do not understand. If I were to hazard a guess, though, I think that Mr. Dershowitz, as true of many on the Left, is far more "comfortable" with "the Palestinian" people than with Islam and Hamas. For many reasons this is a false dichotomy. The Palestinian people are a creation of the Left as was Arafat and is Abbas as are Fatah, PLO, and was Black September. And the glue between that Left and the Caliphate is stronger than the glue between the "Palestinian people" and the Israeli people. And this would be true even in the absence of antisemitism and Jew hatred. Such is the power and wanderings of the Left. Dershowitz is trying, I think, to keep a commitment to that Left and to Israel and I think that is impossible and I would wish that Mr. Dershowitz see that. Does Hamas - I'm not sure of its legal position - since it is is classed by many as a terrorist organisation, have a duty to follow 'obligations under international law'? Hard evidence of rocket and missile arsenals stashed under schools, houses and hospitals in Gaza should be presented to whichever body takes on the investigation, but it is unlikely that the UNHRC would accept IDF records as valid testimony. Israel is indeed damned if it does and damned if it doesn't and I fear that the recent shelling of a Gazan hospital with its attendant casualties will harden public opinion. Professor Dershowitz, as an international respected scholar and jurist, would be an ideal choice for the leader of the independent investigation, but would he be allowed into Gaza and would he be allowed to gather evidence without let or hindrance? AD is absolutely correct as always. This ability to finger a problem is denied to all but a few clear international thinkers. Regrettably , as the world by Pew Survey is 25% anti Semitic, (a number that is short by 75%, ) will find it almost impossible to produce a non biased view of anything to do with Israel, Zionism and Jews in general . It would be interesting if AD could suggest a few names of a potential investigating body to make my fears and pessimism somewhat less ! One again the good professor has displayed excellent legal analysis. Unfortunately the talking heads looking for three minute sound bites will not care. The aspect that Hamas is actually counting on killing its own people to get to its goals is extraordinarily abhorrent and should never be tolerated in civilized society. However having a lopsided investigation serves that purpose and fuels that fire as stated above. As someone once pointed out, if one puts a knowledgeable internationally respected historian on the same stage as a nut, with the nut saying the holocaust never happened and the historian saying it did, they look equal and it gives undue credence to the nutcase. That is what is happening with this so-called investigation. Undue credence is being given Hamas. I fully agree with everything Alan Dershowitz says except for his statement that "Yet again Israel is presented with a Hobson's choice," about whether or not to cooperate with the UNHCR. The UNHCR (with members like Cuba and Venezuela and former members like Khadafi's Libya) has made itself irrelevant to anyone except those who are driven by virulent anti-Israel agenda. Even if Israel were to cooperate it would not gain it any support by those calling for UNHRC investigation. So, Israel choice is clear - which is not to cooperate with any UNHRC action in any way. Instead, Israel should start campaigning with the US and other western allies to force the UN to disband the UNHRC, as the UN did to its predecessor. At some point, funding of the UN by western democracies should be made dependent on disbanding the UNHRC. ...Saudi Arabia, Russia, China,...is like hiring convicted pedophiles to investigate child abuse. Israel is a moral country because it is a free country and so has a profound moral right to survive and flourish. To do so, it should kill the nasty murdering tyrants of Hamas. The empty vapid howling and screeching from the Left world wide has manifested itself in this case as an 'investigation' of Israel's actions in Gaza, read Left wing organized, and slave state executed, potential investigative and judicial lynching of Israel. Israel will get no help from, will be actively hindered by, every action of the current occupant of our White House and those whom he has appointed. Israel should should tell the world to go to hell and should take Gaza and keep it while eradicating Hamas. Anything less leaves an intolerable threat to Israel's existence in place. As usual Alan Dershowitz writes an excellent article. However I believe that no matter the outcome of a UNHRC report, whether it is pro-Israel or anti-Isreal, the effect on despotic murderers like Hamas will be the same. Hamas and its ilk will continue to use human shields unabated. When a culture values death more than it values life it is irrelevant what others think. The violent death, especially of children, will always gain sympathy from the world at large to the detriment of moral countries such as Israel who are trying to defend their own citizens. Alan Dershowitz is right, of course, but we are thoroughly familiar with his and like-minded analyses. Question is, why does the USA, Canada and even Israel remain as participants in the UNHRC? Israel will get the blame for this conflict although they were only defending themselves. Israel should be found not guilty and Hamas should be found guilty of all crimes against humanity.